Just 10 days ago, I underwent LASIK eye surgery and my life shifted in ways that I’m still learning to understand. I’m trying to make sense of it all, but only those who’ve been under the burden of eyeglasses for their entire life, then freed from the need in a quick, 7 minute procedure would be able to know why this is such a huge, life-changing shift. So for the rest of you, I’ll just talk about pasta. Because that’s just not that big of a deal, right? But this dish I created recently, well, this IS a big deal. I’ve been pasta-less most of the past year, and not for the standard ‘I’m carb-free’ or ‘I don’t DO pasta’ whine whine that this basic staple is devil spawn. We went through a long period where pasta was standard in our dinner repertoire, and I just became tired of it. Then, lately, there’s been that nagging sense that something was causing pure belly sadness and pasta, being cloaked in wheat, was ignored. Finally, I realized that I missed a steaming bowl of carb goodness. It was March in Minnesota, after all. Enough said. After the first few days post-LASIK, where my eyes felt like being perpetually stuck behind dirty contacts, hazy edges of everything and light that nearly pierced my brain in it’s brightness, I hadn’t experimented with just how my new means of vision would translate in the kitchen, and my need to clearly see my hands. 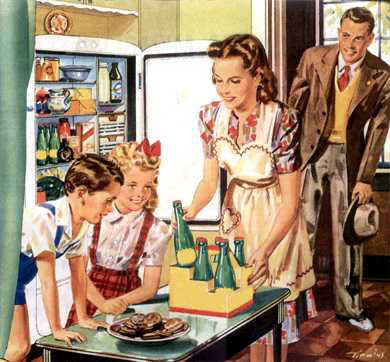 Mike had brought home a box of gluten-free pasta that promised in large, persuasive text that it had a ‘White Pasta Taste!’ and my family would never know the difference. I craved a bowl of buttery noodles, covered in a thin layer of shaved parmesan, a salve for the body that was now rendered off in a new direction, brain and eyes communicating after a lifetime of silence. Everything was new. And I needed something old and familiar. But this dish turned out to be anything but, yet, at the same time, it soothed immensely. It was buttery noodles. There was lots of fresh shaved parmesan cheese, just as I desired. But there were sautéed collard greens, a deeply burnished bed of shallots and garlic, and all of it was bathed in the deep umami of a thick anchovy fillet, melted in a puddle of olive oil. Skipping over the familiar, I added a dose of the here and now, trying to pull together two sides of my life that were now in conflict inside my head. I wish I could explain it better than that, but there’s so much to comprehend from this simple procedure that I never anticipated, so much emotion- being able to read the labels on the bottles in my shower, seeing the texture of the ceiling when I awake, pressing my cheek to my husband’s without the pinch of eyeglasses between us- the simplest of life moments that so many take for granted and never think about that suddenly are part of my life. I’m close to weeping every day at this wonderful, unfamiliar and amazing world. I can’t wait to leap in to a lake or pool this summer and come up with clear vision. I may break down crying at how great that will feel. 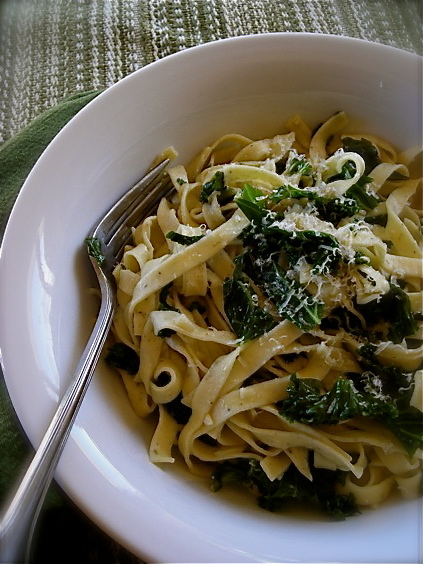 My boy wandered in the kitchen, dressed for his Wednesday night youth group at church and stuck his nose in the pot of pasta I was stirring together, clinging to thin sheets of collards and tiny chunks of allium, steam rising from the glistening spirals. His eyebrows rose in anticipation and he drew two forks from the drawer, and together we stuck a few noodles to the tines and lifted them to our mouths. I shaved the parm on his bowl, then mine, and we bent our elbows to the island in our kitchen, shoulder to shoulder and dipped our forks. This act of simple consumption with he and I is a need for both of us, to connect over a bowl of modest food, leaning together in companionable silence except for the clink of silverware, a swift moment to just be. It added to the familiar that my brain was seeking. He sighed as he scooped up the last noodle, moving it around the bowl to grab the last drops of oil and butter, the remaining bits of cheese. 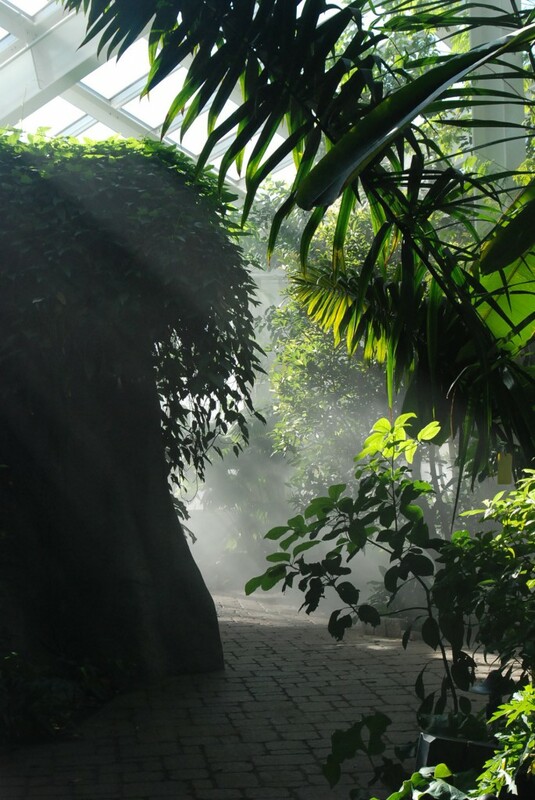 He smiled at me and leaned his shoulder in to mine, his gesture of thanks well received, another wave of the familiar among a week of new discoveries. 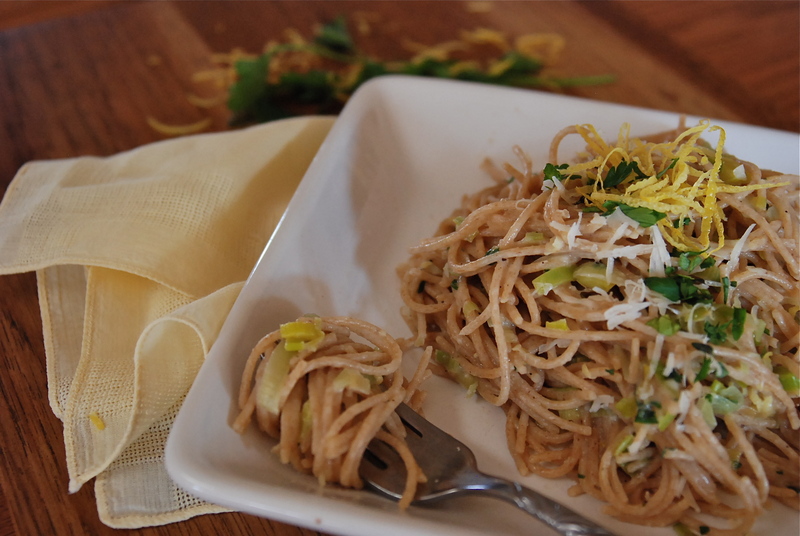 This pasta was so good; simple, deeply flavorful and crazy easy to make. If you haven’t experimented with anchovies in pasta dishes, I urge you to just try it, as they add immense depth. Cook pasta according to personal taste. While the pasta is cooking, heat a large, deep skillet and add a knob of good butter, along with a drizzle of olive oil. Sauté the shallot and garlic, stirring frequently, until golden in color. Add the anchovy fillet and mash with a spoon to break it up. Stir in the collard greens to coat, add about 1/4 cup of water, then cover the pan and reduce the heat to medium-low. 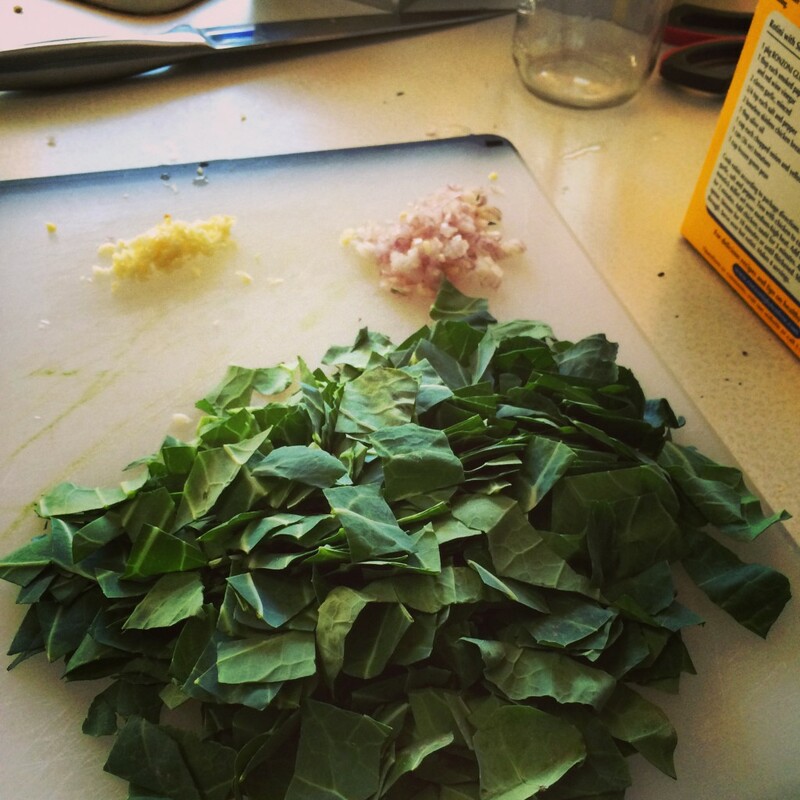 Cook until the collards are soft, but still retain some texture. Drain pasta, reserving a small amount of liquid. Add pasta to pot with collards and stir well to combine. Grind some black pepper over it, along with a few shakes of sea salt, stir some more and taste for seasoning. Adjust if you like. Add another drizzle of olive oil, or some more butter if you prefer, or some of the pasta water if it seems too dry. Spoon in to serving bowls and top with shaved parmesan cheese to taste. Grab a fork, and someone you love. In moving past the continual consumption of meat with our meals, it brings to light an entirely new way of going out to eat, as I’m left wondering how up to date any restaurant will be with their meatless options. There are those places that soar, offering a wealth of meat-free entrees that dazzle, while others places rely on pasta dishes as their sole vegetarian fare. Pasta isn’t bad, mind you. I do enjoy it. But these days, having just a pasta dish or two with vegetables as your meatless menu offering is pretty unimaginative for a restaurant. But that being said, pasta has it’s virtues. 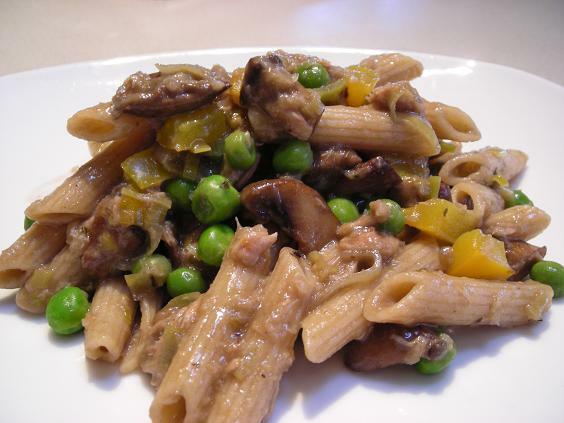 Hodgson Mills Pasta is running a recipe contest on Pinterest and I’m participating with this recipe. Are you on Pinterest? There’s a special page for Hodgson Mills that has all the recipe entries on it. I’d appreciate a vote if you’re so inclined. There are some pretty nice prizes. You must go to the page linked above to vote. Pinning this recipe from my blog won’t count. And Hodgson Mills was nice enough to offer $25 dollars of assorted pasta to one lucky winner from my blog. That’s a lot of pasta! All you need to do to enter is leave a comment on my blog stating your favorite way to prepare pasta (US residents only, with a valid mailing address, please) You have until Thursday July 5th to leave a comment and be entered for the giveaway. I will choose one commenter through Random.Org and contact you via email, so be sure to leave that information. Hodgson Mills will ship directly to you. 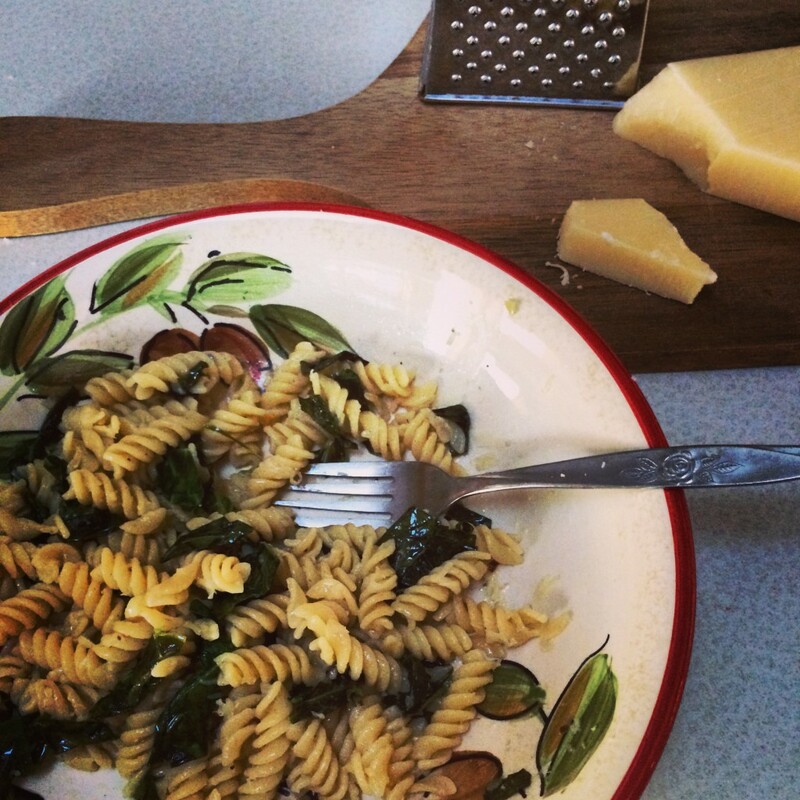 Do you love your pasta rich and cheesy? How about chock full of rich tomato sauce and italian sausage? Plain with simple garlic and olive oil? 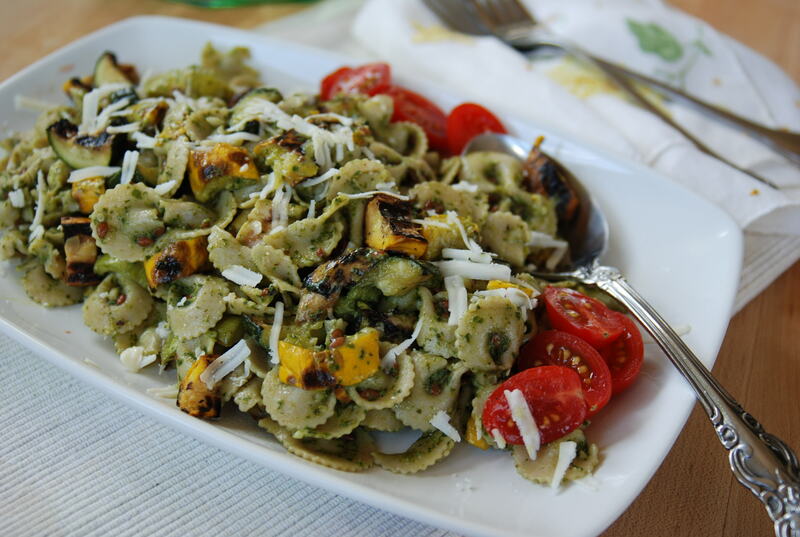 I’ve been enjoying Hodgson Mills whole wheat pasta with summer fresh pesto and grilled vegetables, and creating this recipe was a deliciously fun way to use up a huge box of basil that I’d been given. Food gifts are the best, aren’t they? Heat gas grill on high for 10 minutes. Just prior to cooking, reduce heat to medium-low and brush grill grates with canola or other neutral oil. Whisk together the olive oil, lemon juice and prepared mustard; set aside. Wash zucchini thoroughly and trim off root end. Slice zucchini the long way into three strips about 1/4″ thick. Brush with the mustard oil and place, oiled side down on prepared grill grates. Cook without moving for 5 minutes. Using tongs, carefully turn zucchini over and continue to cook until tender, about 7-10 minutes more. Remove from grill and set aside to cool. Cut zucchini in to bite sized pieces. 2 T. shredded parmesan cheese, plus more for finished pasta. Place all ingredients in the work bowl of a 2-quart food processor. Process in pulses until thoroughly combined, adding more olive oil if needed and scraping down sides as necessary. Scrape prepared pesto in to a bowl and press plastic wrap over the surface to prevent discoloration. In a 6-quart stockpot, bring water to a boil. Add pasta and salt, if desired. Cook pasta until just al dente. Reserve one cup of the cooking water, drain pasta and place back in the stock pot. Add half the pesto to the hot pasta. Drizzle in a little of the cooking water and stir to combine, adding in a bit more cooking water if needed. Add more pesto if needed, along with the cooking water until it’s to your preferred consistency. Stir in the grilled and chopped zucchini and more parmesan cheese, if desired. Taste and season with salt and pepper. Chill pasta for up to an hour before serving, or overnight if desired. Taste prior to serving to adjust for seasoning, and add sliced cherry tomatoes for garnish and color. This time of year is a hard one. I seem to start slipping off the tightrope each February. Bored, restless, tired and too stunted by the dull landscape, I stand on the figurative ledge and think ‘Ugh.’ as I look around. The vertigo makes me twitchy, and thankfully, a trusted friend is there to pull me back and say ‘You know, you go through this every year at this time.’. I’m grateful for someone standing outside of me, who can rationalize this wandering mind, drawing it back to the reality that it’s just late winter and I could use some green and some color in my life. 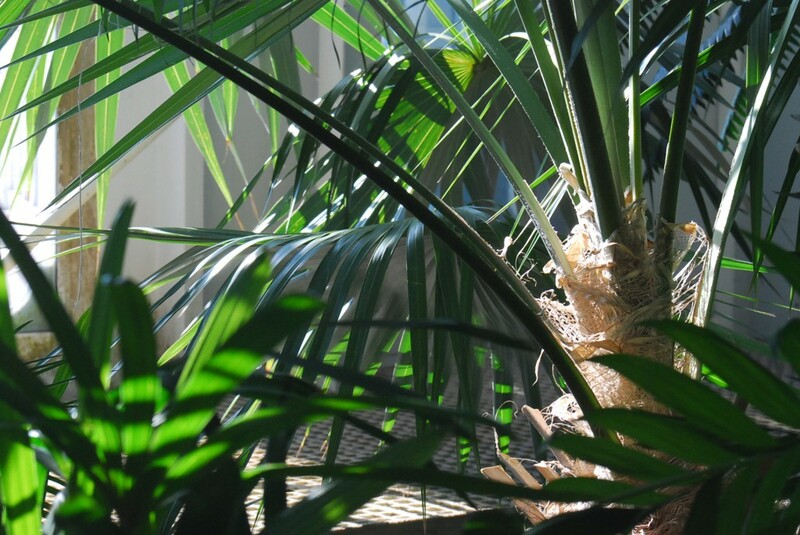 Surrounding myself with a few hours of plant life, of colorful flowers, weeping ferns and a warmth that left me sweaty certainly helped a great deal, and it seems to become more important in the last gasp of winter to put sunny, warm foods in to the body, like an infusion of heat and sunshine that lights us up from the inside. Like this lemony pasta. Eating anything with lemon in it is like ingesting sunshine, it’s so bright and engaging. This couldn’t be simpler to make, with a few leeks, a juicy lemon and a shower of fresh herbs, and parmesan cheese. I’ve done so much with lemons in my baking, like this Lemon Pound Cake, these intense Lemongrass Bars, and a delicious Lemon Ricotta Cookie, but adding sparkling citrus flavor to savory dishes has been few and far between, with maybe the exception of these exceptional Garlicky Lemon White Beans. That’s to an end though, after discovering this bright and lively pasta dish. From the February issue of Eating Well magazine, resplendent with juicy lemon slices on it’s cover, this is a quick and easy recipe to put together. 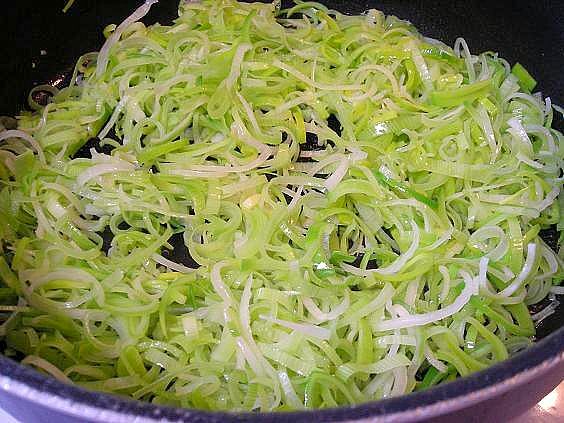 In the time it takes you to make a pot of pasta, you can have the leeks sauteed, ready and waiting. A few turns in the pan, with a splash of that ever-important pasta water and dinner is served. Cook pasta in a large pot of boiling water until just tender or according to package directions. Reserve 1-1/2 cups of the cooking liquid and drain the pasta in a colander. 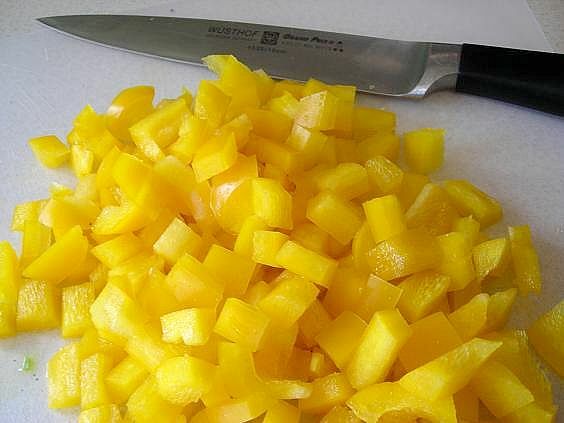 Meanwhile, finely grate the zest from one lemon and squeeze juice from both lemons; set the juice aside. Pat leek slices dry. Heat oil in a large nonstick skillet over medium-high heat. Add the leek, the lemon zest, 1/4 cup parsley, garlic, salt and pepper. Cook, stirring frequently, until the leek is lightly browned and softened, about 6 minutes. Add the pasta, 1 cup of the reserved cooking liquid, 1/4 cup of the lemon juice and the remaining 1/4 cup parsley to the pan. Cook, stirring constantly, until the liquid is mostly absorbed, 30 seconds to 1 minute. Add the remaining 1/2 cup liquid, or more lemon juice, if desired. Remove from the heat. 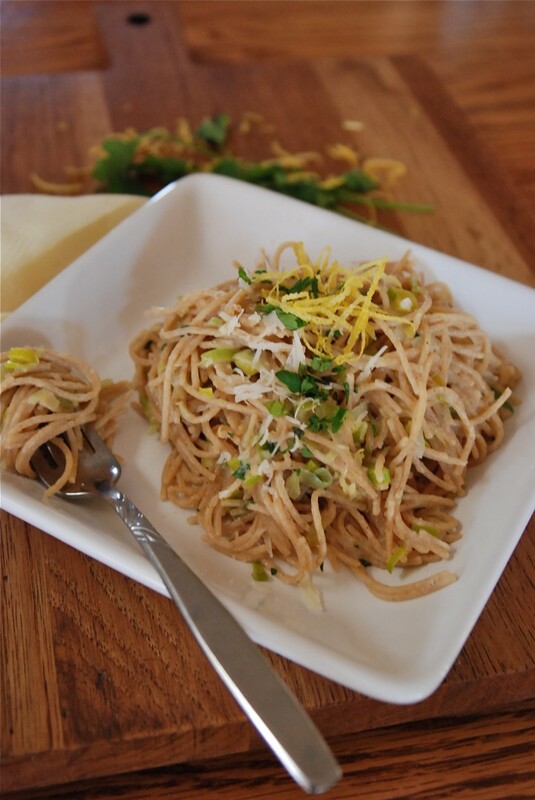 Toss the pasta with 1/4 cup Parmesan and 2 tablespoons chives. Transfer to a serving bowl or bowls; sprinkle with the remaining Parmesan and 2 tablespoons chives and serve with lemon wedges, if desired. Recipe in full, from Eating Well magazine, February 2012. RECIPE NOTES: A simple reminder to yourself to catch the pasta water when draining it is to place a pyrex measuring cup in the bottom of your strainer when you put it in the sink. Pour some of the pasta water in it, set it aside, then drain the pasta completely. Another method, which I prefer, is to remove the cooked pasta from the water with tongs and add it directly to the skillet. It takes a bit of timing to get it right, but instead of draining all that beneficial starch away, it clings to the pasta and helps to create the pan sauce needed. This dish would be wonderful with a broiled mild fish, such as Cod or Tilapia, some seared Scallops or Shrimp would also taste good. If you like chicken, a good lemon-herb rub and a run under the broiler would make a perfect accompaniment to this pasta. There’s a lot of cowboy in me. Not the horse-ridin’ spur-wearin’ giddy-up-ing cowboy, but the kind that understands ‘Cowboy Cooking’ as a necessary culinary term. Most people these days better understand the term ‘Iron Chef’ though, thanks to the ubiquitous presence of the Food Network. Cowboy cooking, or Iron Chef-ing is where you take a whole bunch of ingredients and come up with a dish that is nothing short of fantastic. It’s a skill that has served me well in my kitchen. 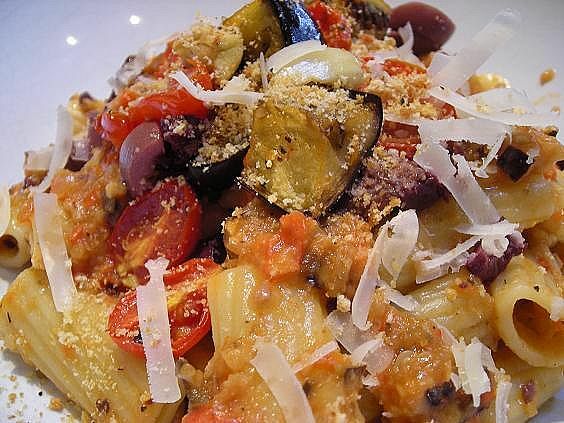 This roasted vegetable pasta dish was a stellar example of that. 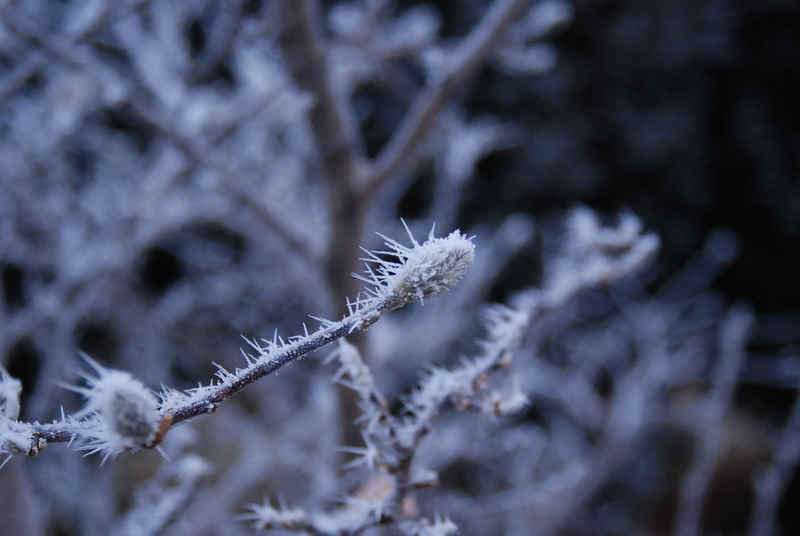 It’s from last winter and was a repeated entree in our kitchen for the remainder of the season. All you do is roast up a pan of your favorite vegetables until they are fragrant and soft, then process them in a food processor to a chunky sauce. Mix them with a hefty pasta shape, add some grated parmesan and grab your fork. It works equally well to just toss them with pasta as is after roasting. The sauce is versatile enough to also be used as an appetizer, topping crostini or another sturdy base. And uh yeah….. ew; this photo is NOT my favorite, yet it’s what I get trying to photograph food in Minnesota during the month of February. Ugh. Sorry. It really tastes FAR better than this looks. I promise! Yee haw!! Let’s get cookin’! Place vegetables into a large bowl. Pour about 1/8 c. of olive oil over them, salt and pepper and maybe some dried seasoning of your choice. Toss to coat. Place on cookie sheets and roast in a 400-degree oven for 25-35 minutes, or until vegetables are soft and fragrant. Gently stir once during the cooking. Cook pasta to al dente. Drain, reserving about 2 cups of pasta water and keep pasta warm. 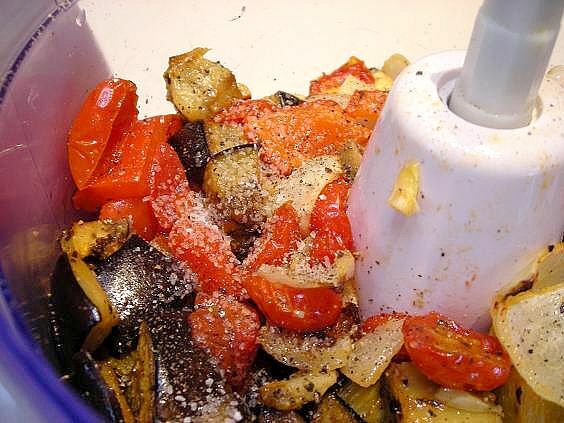 Place roasted vegetables in food processor and add a cup of reserved pasta water and 1/8 c. olive oil. Process until mixture is chunky, scrape down sides and process to desired consistency. If mix is too thick, add some more pasta water. You want it to be spreadable but not drippy, thick but not gloppy. 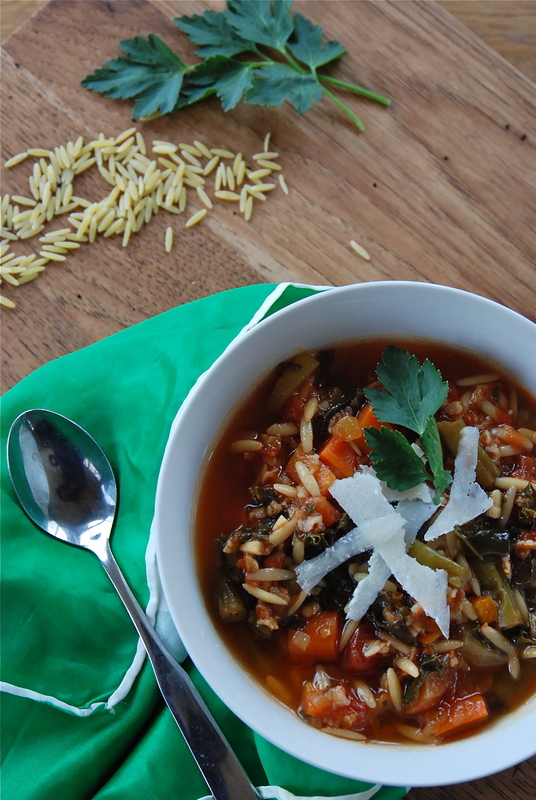 Toss vegetable mix with warm pasta. You may not need it all so scoop accordingly. Toss to coat pasta, add in kalamata olives (if desired) and parmesan cheese. Season with salt and pepper. Serve hot. And remember when I recently talked about that yummy Panko Crumb topping? Hello, and giddyup …..it works perfect here. The snow stopped and we received about a foot of wet, heavy white stuff. I was pretty grateful that it arrived on the weekend and about our only need to accomplish was cleaning off the driveway and sidewalks. It was so nice not to have to go anywhere. We spent some time knocking the thick clumps off neighbor’s trees and bushes as it was so heavy that it was bending them nearly in half. We also saw plenty of downed tree branches today on our way to church. 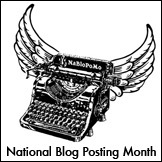 The down time afforded us an opportunity to work up a new ever-changing header for the blog? Like it??? Tomorrow, hopefully, I will have the results of the MRI. Kind of curious, trying not to be concerned that anything is seriously wrong. Pretty doubtful on that. About three years ago, I posted a short little blurb on here about a delicious buttery, crunchy topping that I love to eat on buttered noodles. I almost didn’t even post it because I thought it was the silliest, most mundane thing I could even conjure up, but it turned out to be one of my more steadfast search terms that people use to find my blog. Who would have thought that ‘Buttered Noodles’ needed to be searched? At any rate, this yummy herbed topping is delicious and simple, and adds the perfect touch to not only buttered noodles, but mac&cheese and all other forms of pasta dishes you can come up with. 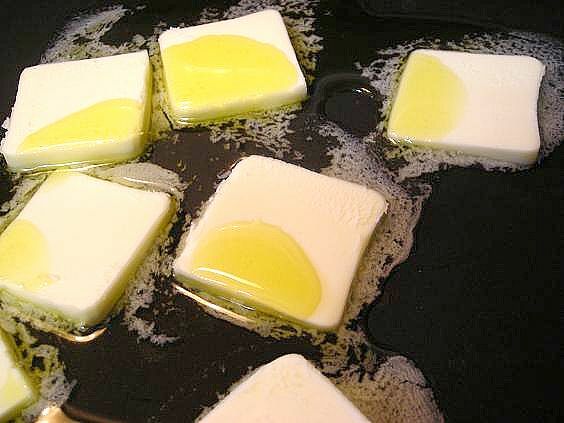 Melt butter and oil in small saute pan. Add crumbs and toss to coat. Add in remaining seasonings and cook over medium-low heat, stirring continually until crumbs are browned and fragrant. Remove from heat and spread on a plate to cool. Add in parmesan/asiago type of cheese if desired. Sprinkle over drained pasta, and toss to coat. Kate’s Notes: Once the crumbs are nicely browned, you must take them out of the pan to cool. If you leave them in the pan they will burn. Trust me. You can mix up the dried herbs you add as per your individual tastes. Use all butter too, or all oil. I like the combo of both. 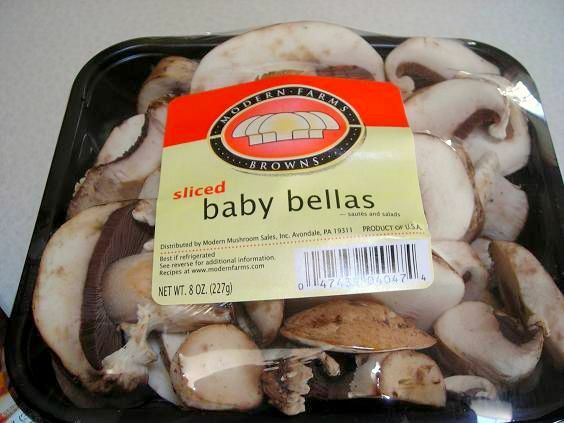 These keep in the fridge for about a week or so, I’m guessing anyway. They tend not to last that long around here. Maybe I was a rabbit in another life. Or maybe it’s just my normal summertime affliction, but greens have dominated my meals as of late. What fuels this obsession, and it can certainly be called one, is the availability of the ‘live’ lettuce heads my grocer has started carrying. I found these last summer and the love affair was ignited like an inferno; a big bunch of varied lettuces are packaged with the root ball intact. 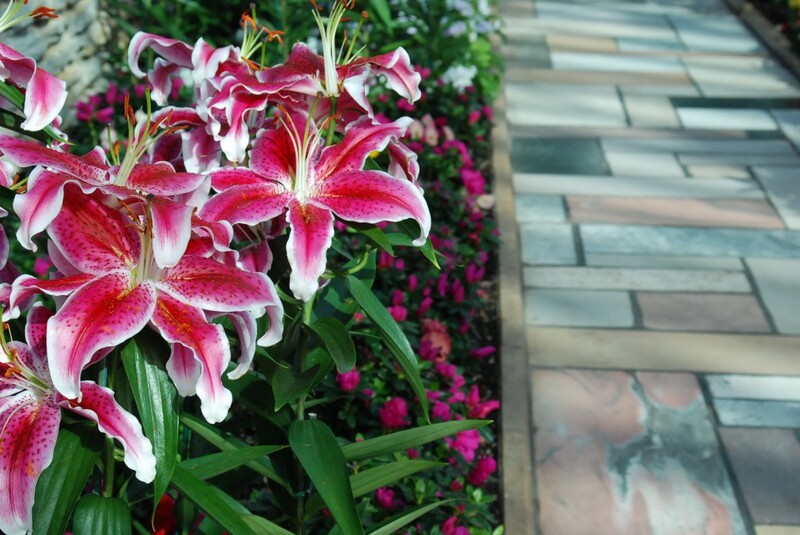 They can be planted and grown at home, or like I do, simply chopped off at the root, washed and held in the fridge. The amount of lettuce one gets in these offerings is grand, the quality is terrific and the price is exceptional, a bargain if there ever was one. I’ve bought two at a time and happily dug into their depths for countless meals, relishing the ease, the taste and the light fare. The bonus is that it’s a locally grown product by Minnesota’s own Bushel Boy. Well, neither did we, and it was an awfully nice thing to hear. So it was with great anticipation that I awaited the start of one of my favorite local satellite Farmers Markets and drove towards it with excitement. Imagine my disappointment when the normally over-crowded parking lot where it is held instead was home to just about half a dozen vendors, with only one selling any type of green stuff. I felt like a slowly deflating balloon, but shouldered on, purchasing a sackful of organic spring greens, spinach and radishes. At least it was a good start, and while I was heading back home with my goodies, the sack of spinach, crammed full of dark green curly leaves, gave me the idea of making Spinach Pesto and then dinner was born. 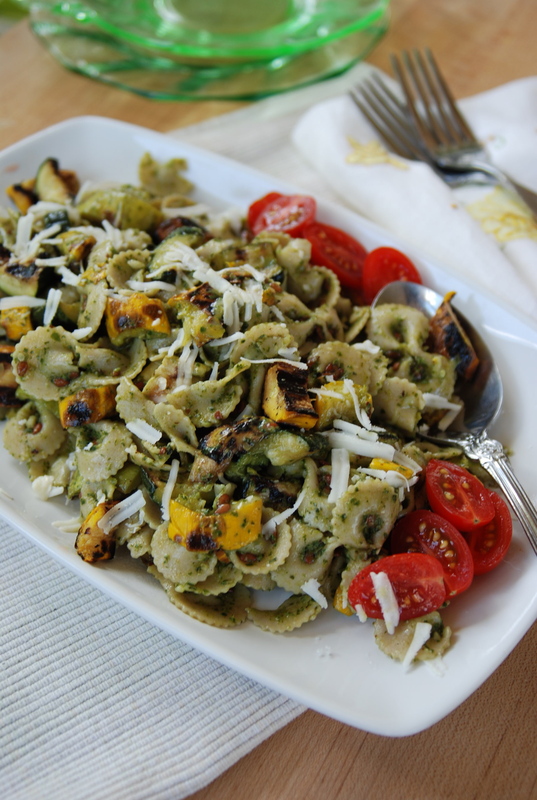 Pesto is a favorite around here, well- of the adults anyway. A few summers in the past, I had a garden bounty of basil that I turned into approximately 20 cups of pesto that I coveted in the freezer for months to come. I’ve been slow to experiment with other forms of pureed greens, but no more; this spinach pesto, combined with some remaining roasted red peppers that I found in the fridge, was so light, delicious and flavorful that now the craving for pesto, in any form, can be squelched with nary an effort outside of cleaning a bounty of my favorite leafy green. And it turned a plain box of pasta into a superb weeknight meal. Place all ingredients in a food processor and process until smooth, scraping down sides as needed. 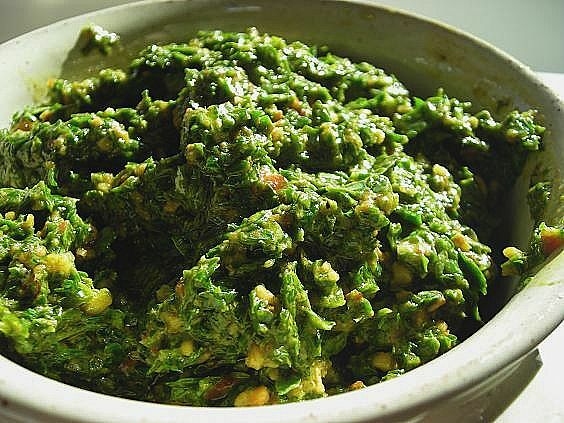 This pesto can be frozen for quite some time with only minimal loss of flavor. 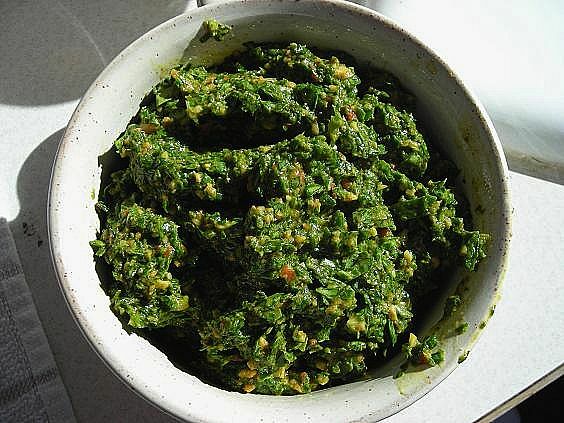 Do not add cheese to pesto if planning to freeze, otherwise, add to taste your preferred hard cheese. Heat water to cook pasta. I diced two ripe tomatoes and sliced a medium shallot. Sautè the shallot in olive oil, in a deep sided pan, until soft and starting to turn slightly golden. Reduce heat and add tomato, cooking over low heat until it begins to break down only slightly. Stir minimally. When the pasta is ready, lift all the pasta with tongs straight from the cooking water and into the saute pan. Stir to coat with the tomato mixture, then spoon in about a half cup of the prepared pesto. Using a little of the pasta water, thin the pesto slightly and toss to coat. Add more pesto if so desired. 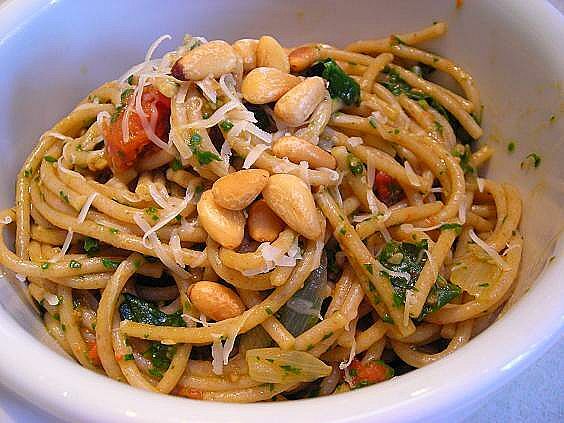 Top with grated cheese and toasted pine nuts and season to taste. 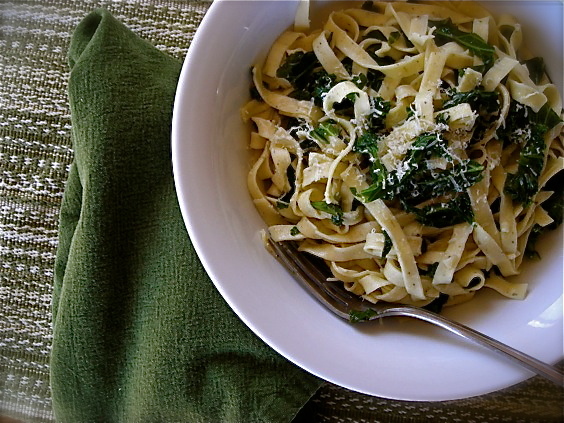 I stirred about a cup of chopped spinach leaves into this as well for a little more color and texture. When you use spaghetti for a pasta dish, do you break apart the strands before placing them in the boiling water? Does tiny shards of broken spaghetti fly all over the kitchen? 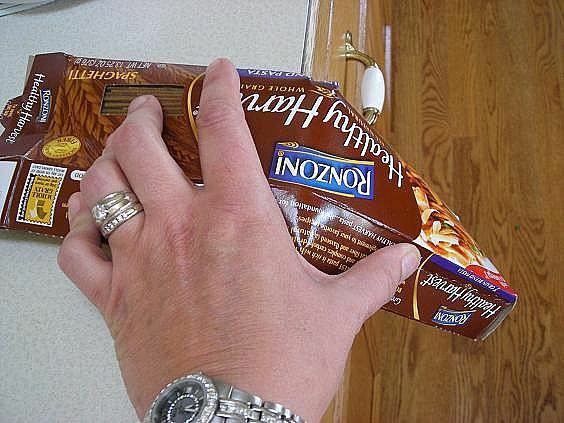 Leave the pasta in the box and bend the box over the edge of your counter. All the broken pieces stay in the box, eliminating the annoyance of finding them scattered around your kitchen for days to come. Also, if you salt your pasta water, pour the salt directly into the box with the pasta while you wait for the water to boil. That way, you’ll never forget to add it. Pesto is so endlessly versatile. Have you ever stirred pesto into burger meat? It’s one of my favorite ways to use it. The oil helps to keep the meat moist and it gives the finished product huge flavor. Griffin won’t eat pesto on pasta, but when I turn the remains into a grilled and fragrant burger, he spares no restraint in consuming it without question. Pesto is also wonderful in a grilled cheese. We didn’t get around to utilizing this method with the spinach pesto this time, even with wonderful Jalapeno Cheddar bread available as a base, but in the foreseeable future, I’m pretty certain this will be dinner. Spread some pesto on slices of french bread, a pocketed ciabatta or crusty semolina sesame and sprinkle a little grated hard cheese over the top. Try something different than parmesan or asiago- maybe manchego?- and then place the slices under the broiler for a few quick minutes. Watch carefully! This is an excellent appetizer. Thick slices of fresh tomato can also be spread with pesto and cheese and broiled to a sizzling snack. Roasted vegetables get a nice enhancement from being served with pesto, especially potatoes. Pesto salad dressing is wonderful. 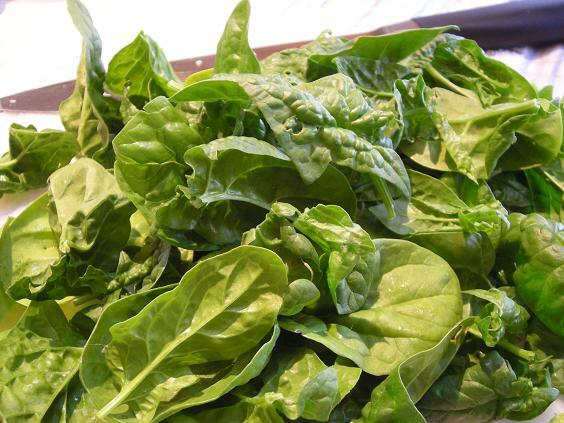 A tablespoon or two can be added to your standard oil/vinegar mix, or thinned slightly and simply tossed with your greens. Admittedly, I like to break convention. I’m not one to conform to stereo-typing, I don’t mold myself to any expectation and I refuse to adhere myself to a certain role. At home, I’m just as easily found outside shoveling, chopping ice on our north-facing driveway, spreading mulch or digging a hole for a new garden plant as I am in the kitchen whipping up something delicious. I don’t think in terms of ‘mans work’ or ‘womens work’, and while we do have some things in our house that may fall into those categories, I don’t think that any job should be defined by your gender. I would have never succeeded as a single parent for 7 years with that belief. In my life too, I’m the one who would most likely encourage you to step outside the box. Years ago, in an outing with women I was working with, we spied a parking spot outside our destination on the opposite side of the street from where we were. Here’s me in the backseat telling the driver to make a U-turn, while the other women in the car want to play it safe and go around the block. When I’m in the minority, I tend to be slightly insistent about what I feel, and apparently I was loud enough that the driver whipped around the steering wheel in a speedy U-turn and scored the parking spot. Later she confessed that she’d never done anything like that. I asked her if she liked it, and after a moment’s repose, she replied with a grin “I think I did!” Stepping outside a comfort zone, or taking one of life’s U-turns is hard for some people. I’m generally not one of them. This trait, good or bad as it can be, is part of me in the kitchen as well, and here it really tends to take off soaring because I’m the majority cook in the family and no one is standing about trying to tell me what to do with a recipe or certain dish. I rarely follow a written recipe, and when I do I’m most always disappointed. I know what I like, and after a lifetime of cooking, making mistakes and blending every ingredient under the sun, I have a storehouse of knowledge in my brain as to what works and what might not. My brain can see how any recipe from any source can become something else altogether, and knows just how to make it delicious. 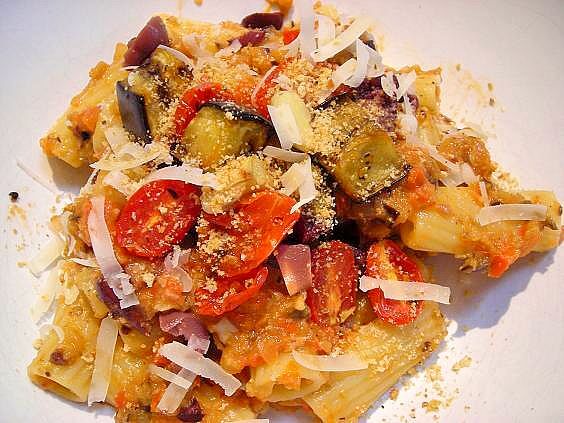 Take this roasted vegetable pasta dish; I don’t recall the origin of the dish as the only note I have on it says “eggplant, tomato and pasta” – yeah, that’s concise- but I recalled enough to know that you roasted the veggies, pureed them with pasta water and some olive oil and mixed it with cooked rigatoni. I also recalled that the finished dish, while not a beauty queen, was delicious. Sometimes, ‘delicious’ is all I can remember, and really, do you need to know anything else? Well, a method might help. 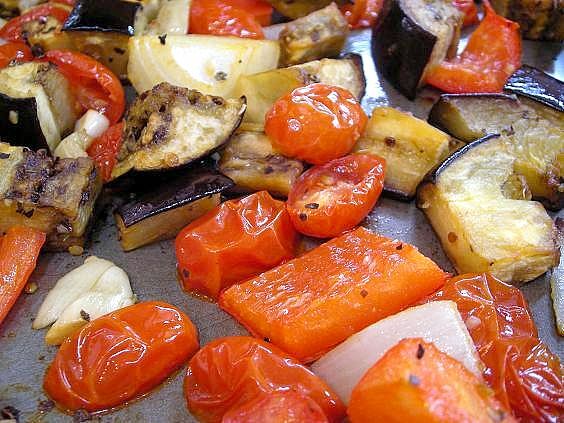 For my roasted veggies, I used an eggplant and a pint of grape tomatoes, halved. I also cut an onion into eighths, large diced a red pepper and rough chopped six cloves of garlic as additions. 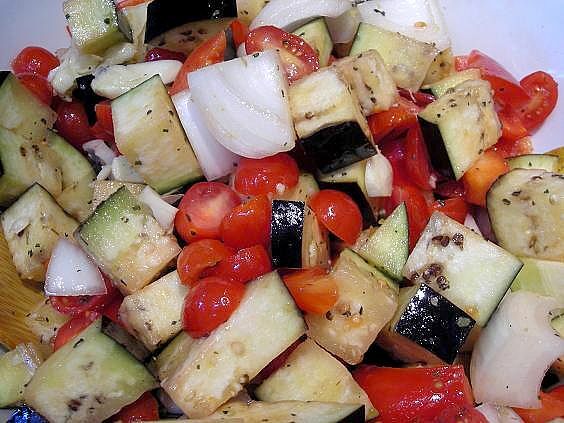 Mix it all up in a bowl with a few good glugs of olive oil, some seasoning of choice, and toss. Don’t give in and add more oil; the notoriously thirsty eggplant will drink up some of it and the rest of the vegetables will get their fair share. Too much oil on eggplant in the oven and it just becomes soggy. Spread the veggies out on cookie sheets, with plenty of room, and roast at 400 until the tomatoes are nice and wrinkly, the eggplant is browned and everything smells amazing. This took me about 25-35 minutes. Cook the pasta while the veggies roast. You want the pasta water for the puree; I always place a pyrex measuring cup in the colander to help remind me to catch that good starch. Drain the pasta, reserving up to two cups of the water. Keep the pasta warm. Place the veggies in the food processor with some salt and pepper. You can save some of the roasted pieces to top the pasta, if you wish. Add in about a cup of the pasta water and another healthy glug of olive oil. Whir the veggies to a consistency of choice- I like it a bit chunky- and scrape down the sides. Now take a look at the mix- it should be fairly thick. Add in a little more pasta water to make it to a spreading consistency. If it’s too thick, it won’t coat the pasta well enough. 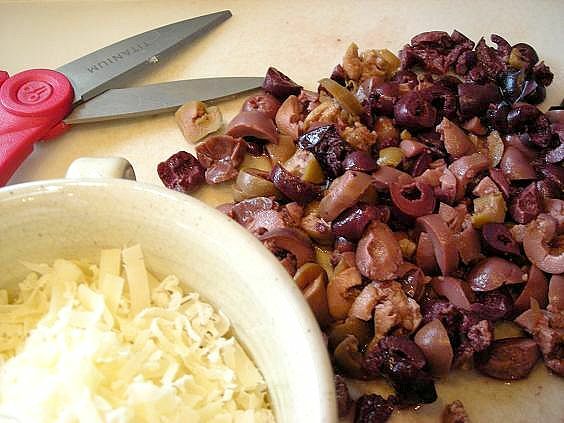 You can also add in some kalamata olives, and be sure to have some fresh grated parmesan ready. And if you’re like me and enjoy something crunchy, toasted and seasoned on top of your pasta, make some bread crumbs. 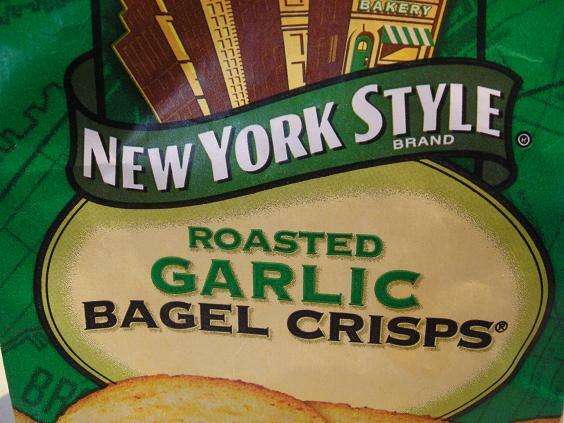 I took a shortcut this time and put the remains of these bagel chips through the food processor. Oh my, this was a really good addition! 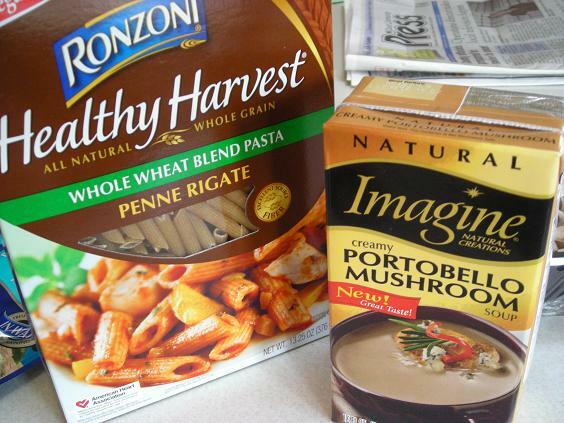 Once the veggies are processed, scoop some of the puree onto your rigatoni or other large shape of pasta. 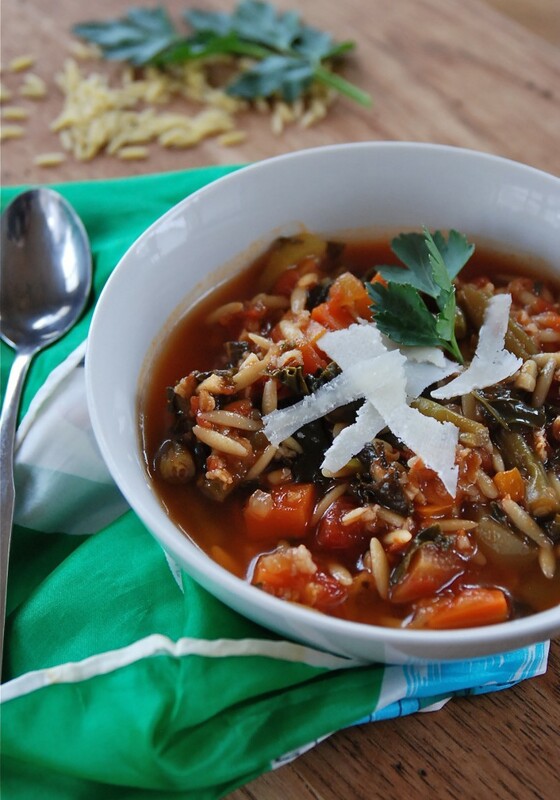 This is such a hearty dish that a tiny shape would get lost in amongst the lovely vegetable mix. You may not need all the puree so add as you go to make it the consistency you like. Stir, taste, season with salt and pepper and taste some more. Then, take your serving, add in the parmesan and crumbs and pick up a fork. Mmmmm….. who needs convention anyway?? The puree was really thick and delicious- not so visible in these photos but trust me…each bite was a huge flavor burst in the mouth. There was plenty left over even after I coated the pasta with quite a bit. The next day I could hardly wait to take the remains of the vegetable mixture, spread it on toasted peasant bread and top it with fresh mozzarella. This made for a quick and delicious light lunch. 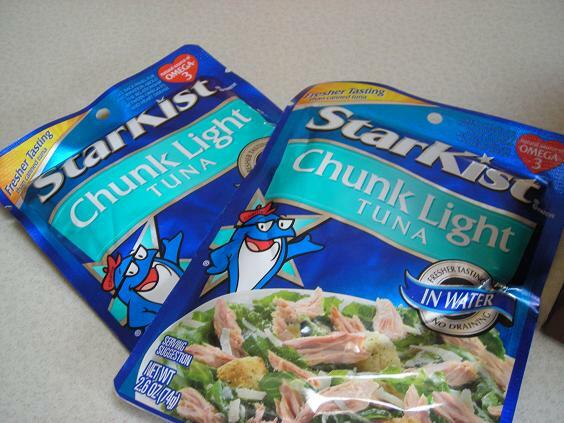 I also think it would make a wonderful appetizer for a party. Ok, if you need a set of instructions, follow the jump…..